Two Austro-Hungarian armies, 400,000 strong, under the command of Gen.
Potiorek, were secretly concentrating at six points along the Western and Northern Serbian frontiers, 340 miles in extent. On the Western frontier, the River Drina divided Serbia from Bosnia. On the Northern frontier the natural boundary was formed by the Save River, west of Belgrade, and the Danube River east of Belgrade. Thus the Serbian capital was included in a salient which projected into Austro-Hungarian territory on the northwest. By simultaneous invasions north and west, the Austrians expected to cut through this salient, capture Belgrade and with it a part of the Serbian army. The Serbian forces, all veteran soldiers who had recently emerged victorious from two Balkan wars, numbered 200,000 rifles. Under the direction of Field Marshal Putnik, they were likewise concentrating near the northern border. On August 12, 1914 the Austrian batteries on the west bank of the Drina River, opposite the Serbian city of Loznitza, opened a heavy bombardment of the town. Under cover of this fire, a fleet of barges, filled with Austrian soldiers, crossed the river. The landing was opposed by two Serbian battalions, acting as an outpost, supported by a few old field guns. They were quickly driven back to the heights behind Loznitza, where they continued their plucky resistance. The Austrians then laid a pontoon bridge across the Drina and landed an army of 120,000 on Serbian soil, quickly throwing up defensive breastworks and constructing elaborate trenches. On the same day an Austrian army, 100,000 strong, crossed the Save River at Shabatz, on the Northern frontier, strongly fortified the town, and laid a pontoon bridge across the river from the railroad terminus at Klenak. Four other Austrian columns were invading Serbia at Zvornik, Luibovia, Amajlia and Branjevo. All these positions converged on Valievo, the terminus of a railroad, extending into the heart of Serbia. The two main armies of Austria, advancing into Serbia along the lines of the Save and Drina rivers, were separated by the Tzir ridge of mountains. It was necessary that the Austrians should gain this ridge if a junction between their armies was to be effected. 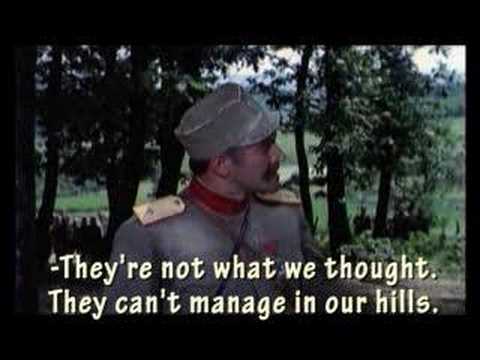 On the other hand, if the Serbians could occupy this ridge, they would be able to drive a wedge in between the main forces of the enemy and flank either wing of the Austrian army. In the race for the ridge the Serbians were successful. The battle front along the Tzir ridge was approximately 100 miles long. The first battle of the war opened on August 14, 1914 when the Austrian armies at Loznitza attempted to storm the heights held by three small battalions of Serbians. The Austrians charged up the hill in mass formation, but were met by a volley which sent them in confusion down the hill. Reforming in mass, they advanced with fixed bayonets. This time the first line of Austrians reached the summit, but in a hand-to-hand fight they were again checked by the plucky Serbians. Under the cover of night, the Serbians withdrew to Jarebitze, where they met the first Austrian army, 80,000 strong. Here, the Serbians entrenched on a ten-mile front. During the night of August 15, 1914 the Austrians took possession of the Tzir and Iverak ridges. Meanwhile, at Shabatz, Austrian troops were pouring across pontoon bridges into Serbia; an Austrian flanking column from the Drina had reached Slepehevitch; another force was centered on Krupain. At daybreak, on the 16th, an Austrian army corps, 50,000 strong, was seen moving along the lower spurs of the Tzir Mountains, their aim being to prevent the insertion of a Serbian wedge between the Austrian army at Shabatz and the Austrian forces in the valley of the Jadar. With the idea of creating a diversion which should give the main Serbian army time to cope with the new situation, a Serbian artillery officer, Major Djukibch, secured permission to meet this body of Austrians with a single cannon. With a handful of volunteers, Djukibch planted his lone cannon in the path of the advancing army and opened fire. The Austrians, evidently believing they had been surprised in force, turned and fled from the field. Some reinforcements of infantry and calvary were sent to Major Djukibch and the Huns were driven back to the mountains. Here they re-formed and gave battle to the small Serbian force that had pursued them. 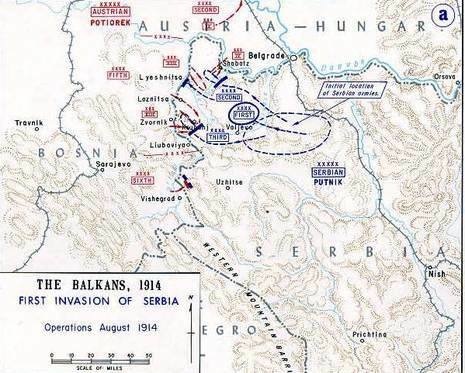 The Serbian outposts, though pressed hard, held their ground till evening, when the advance corps of the main Serbian army came to the rescue. Though they had marched 60 miles that day, the Serbians sprang over the breastworks, dashed through cornfields and tall grass, and with fixed bayonets charged the Austrian ramparts, driving the enemy in panic flight from their trenches through the Jadar valley. Two Austrian regiments which had held their ground were almost annihilated. Before nightfall, the Austrian corps was dispersed, leaving much booty behind. By this brilliant feat of arms, the Serbians cut off the Austrian army in Shabatz. At dawn, on August 18, 1914 the Austrian army in Shabatz, on the Northern frontier, came forth to give battle to the Serbians. Outnumbered two to one, the Serbians gave way slowly, and at nightfall the infantry entrenched along a line from Leskovitz to Mibana. The Serbian cavalry division at the same time retired on a line from Meskovibch to Brestovatz, its right wing being threatened by the Austrian advance out of Shabatz. Thus the armies were disposed across both the Tzir-Iverak ridges, which dominated the theater of war. The Serbian army on the Iverak ridge attacked the Austrians at Yargovitobi, driving them from their trenches. An Austrian counter-attack, late that night, was repulsed at the point of the bayonet. On the 19th, the Austrians out of Shabatz forced back the Serbian forces operating in the south to the right bank of the Dobrava River. On the Tzir ridge, however, the Serbians took Rashulatcha, pursuing the Austrians along the Leshnitza River. The Serbian forces on the Iverak ridges also put the Austrians to rout. The third army, after a stiff engagement at Soldatovitcha, also dispersed the Austrians, taking many prisoners. The next day saw the end of Austria's hopes. The army of the Shabatz, which had made so successful an advance only a few hours before, was now forced back from the Dobrava River. Mauled in turn by the Serbian artillery and cavalry, the Huns finally fled in wildest disorder, through cornfields and villages. In the Jadar and Leshnitza valleys similar scenes were witnessed. From the high ridges, the Serbians directed their artillery fire against the fleeing Huns. Soon the whole Austrian army was in flight toward the Drina. Shabatz was evacuated on August 24, and the last Austrian invader was expelled from Serbian soil. The Austrian losses in this battle were 6000 killed, 35,000 wounded, and 4000 prisoners. The Serbians lost 3000 dead and 15,000 wounded. The Serbians captured 45 cannons, 30 machine guns, and vast stores of munitions. Of 400,000 Austrians who had invaded Serbia in August, barely 300,000 returned. In 13 days the Serbs captured 40,000 prisoners, while fully 60,000 Austrians had been killed or wounded. The Serbian casualties were placed at 20,000. The Battle of Cer also known as Battle of Jadar (main operations were held near the river basin of the Jadar river in Serbia) was one of the first battles of World War I, it also marked the first Allied victory in the war. The battle was fought between the Austro-Hungarian Army and Serbian forces. Results improved Serbian standing in the Alliance. Austro-Hungarian troops fought under the command of General Oskar Potiorek and Liborius Ritter von Frank. Von Frank was in direct command of Austro-Hungarian forces at Cer (5th Army). 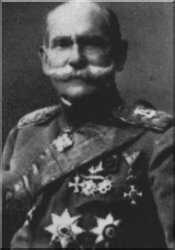 Most of the Serbian troops were under the command of General Stepa Stepanović. In the opening stages of the First World War, the Austro-Hungarian Army Group Balkans, under the command of General Oskar Potiorek, pushed into northwestern Serbia across Sava and Drina rivers. Šabac fell. Following the expansion of bridgeheads, most elements of 2nd and 5th army successfully crossed into Serbia by 12 August. Potiorek's own 6th army was still concentrating further south and was in no position to begin large operation at this time, so the brunt of the fighting in following days was on the 5th Army. According to Potjorek's plan, it was to attack in the general direction of Valjevo immediately after the crossing and take the city in five days. Reports of the Austrian incursion reached the Serbian staff during the day. It was clear that a major operation had begun, but Field Marshal Putnik still had not completely abandoned his view that main Austrian thrust would come from the north, concentrated on the Morava river valley. 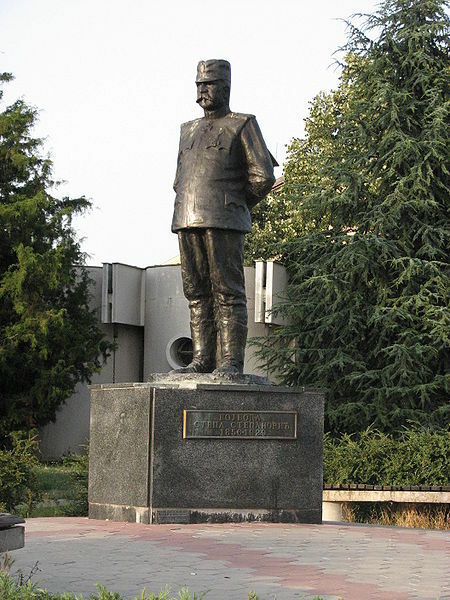 It took some time until his assistants, general Mišić, and head of Operations, colonel Živko Pavlović convinced him to take decisive action. Along with the direct military pressure of Austria-Hungary, Serbia was pressed to take an offensive stance by its Allies, at the time waging difficult battles in northwestern Europe. The Serbian Staff replied that its units were already on the offensive against the Austrian bridgeheads. The Serbian Second Army, under the command of General Stepanović advanced towards Cer, the Šumadija Division towards Šabac and the Cavalry Division towards Mačva. On the left flank, the Third Army, under the command of General Pavle Jurišić Šturm, entered the battle. Then the 3rd launched a massive offensive push through the Austrian lines, crushing the bulk of them. The Serbian Second Army was, due to its position in the center of the northwestern cordon formation, the strongest of the three armies, not in term of numbers but of the quality of its divisions(the largest was the First Army, which was assigned to protect the entrance to the Morava river valley. This being the best possible approach to Serbia due to the lack of natural defenses, unlike the mountainous northeast and northwest). It consisted only of the divisions of the first call up (prvi poziv), of soldiers in their 20's and with best training and matériel available. These were the Šumadijska, Moravska, Dunavska (which, being responsible for defence of Belgrade, had additional regiments attached) and Kombinovana (combined) divisions. This organizational structure was chosen by Field Marshal Putnik not just to have a strong center, but also, due to their central position, the Second Army's divisions could at any time be attached to either First or Third army if the strategic development dictated such an action. Hence, when there was no longer any doubt about the direction of the Austro-Hungarian invasion, the Serbian cordon conducted a regrouping (movement of app. 90 degrees counterclockwise) of all of its armies and Second Army faced von Franck's Fifth Army (the only Austro-Hungarian field army which had crossed into Serbia in full strength) at Cer and Jadar valley. During August 1914 a battle was waged in the area of Mt. Cer, in which around 200,000 Austro-Hungarians fought against 180,000 Serbs. The main battle at Cer lasted from August 16 to August 19. The Serbian Army was victorious, pushed the Austro-Hungarian Army back across the Drina, and completely thwarted their war plan. Around 18,500 Austro-Hungarian officers and soldiers were killed or wounded and around 4,500 were captured. The Serbian Army lost around 16,000 and 250 officers. As a result of the battle Austria-Hungary withdrew from Sandzak, delaying their offensive into Serbia. Austria-Hungary continued offensives into Serbia for the rest of the autumn of 1914 without much success. Cer also gave the Entente their first victory of the war against the Central Powers. Another thing of great importance during Cer battle was Putnik's unwillingness to conduct aggressive offensive maneuvers (this was also the case in the First Balkan War) due to his fear of unnecessary risk which could lead to higher casualties in the already undermanned Serbian army. 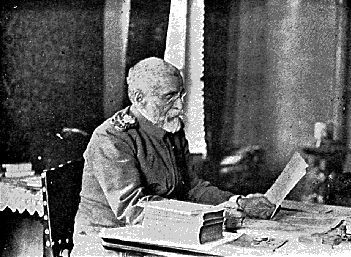 An example was when he overruled of General Stepanović's proposal on the eve of the third day of the battle. 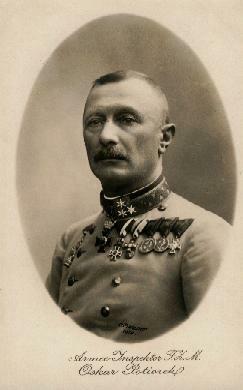 Stepanović sensed that Austro-Hungarian forces on Cer and Everk were beginning to crumble, so he suggested a bold maneuver in which his Kombinovana and Moravska divisions would conduct a forced frontal pursuit of opposing troops on Cer and Everk ridges, whilst the Cavalry and Timočka (this division was hardly used during the entire course of the battle, to significant disadvantage regarding the outcome) divisions would conduct a parallel pursuit on the northern slope of Cer towards Lešnica, with orders to attack both the enemy's flanks and to reach the pontoon bridges on Drina river and therefore cut the Fifth Army's main line of retreat. If this maneuver had been conducted, the possibility for a more catastrophic defeat of the for Austro-Hungarian arms was significant. Yet, Putnik ordered Stepa to pursuit enemy force frontally and not to conduct any sort of flanking attack, which would, in itself, cause far larger casualties upon the retreating enemy. The Third Army's loss of contact with the enemy on the third day of the battle also helped the Austro-Hungarian Fifth Army to withdraw in a more orderly fashion. Considering this, it is probable that the invading force could have suffered a far costlier defeat had Putnik allowed more independence to his field commanders instead of his attempt to micromanage operations. A reason for this may lie in his early command experiences in the wars with Turkey and Bulgaria, where some exceedingly ambitious plans led to disasters in field.